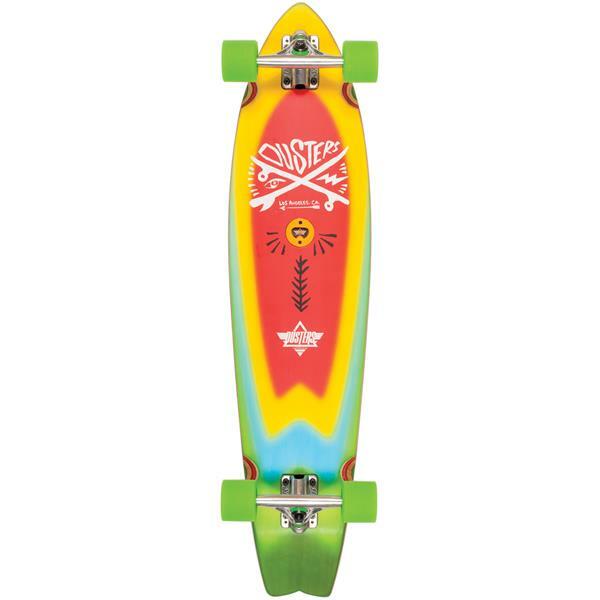 Cruise the streets in bright style with a vivid multicolor design with a swallow kicktail and milled wheel wells to reduce the risk of wheel bite plus a bottle opener on the bottom. The Blotter is a little bit longer, it is made of wood rather than plastic, and it has a kicktail. 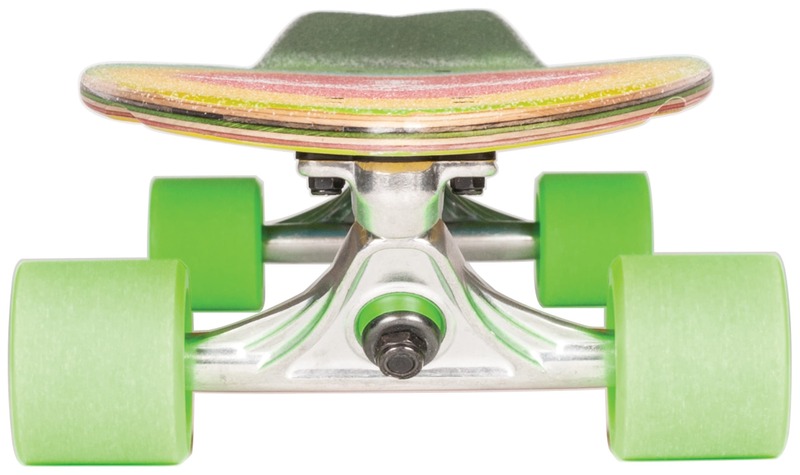 The Penny Longboard V1 is a little bit shorter, made of plastic, and has a flat deck from the nose to the tail, so it doesn't have a kick tail.